“When you fast, do not look somber as the hypocrites do, for they disfigure their faces to show men they are fasting. I tell you the truth, they have received their reward in full. But when you fast, put oil on your head and wash your face, so that it will not be obvious to men that you are fasting, but only to your Father, who is unseen” (Matthew 6:16-18). 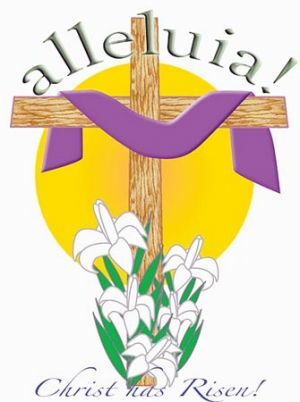 On Wednesday March 6th we will begin the Lenten season with a Soup Supper at 6 p.m. in Memorial Hall. Afterwards we will celebrate Worship with Communion and the Imposition of Ashes in our Sanctuary. Following Ash Wednesday we will gather on the remaining Wednesday's of Lent for worship at noon, followed by a soup and salad luncheon. A freewill offering will be taken up during the worship to assist local food banks. Celebrate the Resurrection of the LORD at the annual Easter Sunrise Service hosted by the Christian Community of Churches on the Bethany Beach Boardwalk at 6 a.m. and in our sanctuary at our regular service time - 9:30 a.m.